Thompson Suburban Dental Lab uses the GC Initial™ IQ porcelain as our porcelain of choice to provide your patients and your practice with the best PFM available. The GC Initial crown is beautifully natural. The porcelain’s optical properties such as diffuse reflection, fluorescence, opalescence and translucency mimic those of natural teeth. Its surface can be easily polished, enabling realistic mirror reflection. 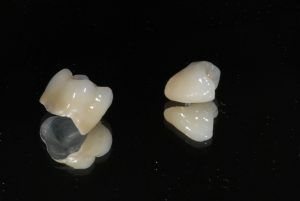 While metal-free restorations increase in popularity, a large majority of our practices still prescribe porcelain fused to metal single and bridge units. At Thompson Suburban, we are committed to stringent quality control procedures. Our goal is to guarantee that each case is designed to meet or exceed your expectations and is delivered to you exactly as you prescribed. SLM (Selective Laser Melting) non-precious copings and bridges made from Wirobond® C+ have a chromium content of 24.7% which ensures superior corrosion resistance and a passitivity layer for excellent biocompatibility and patient safety. Its tensile strength of 680 makes this alloy a great choice for long-span restorations. Bego Wiron 99 is the patented non-precious metal alloy for metal-to-ceramic work or acrylic veneering. It is free of beryllium and extremely resistant to corrosion. It has great strength with any acceptable span. Argedent 90 is a high-gold metal alloy with rich gold color allowing for warm, lifelike porcelain shades. Its light oxide provides excellent shade control and vitality. It is used for both anterior and posterior short and medium-span bridge work. Argendent HN is an affordable High Noble for any PFM restoration, including implants. 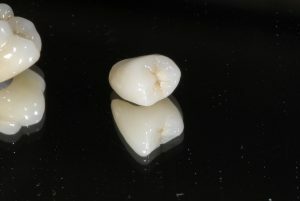 Its broad porcelain compatibility and low density make it ideal in today’s economy. The light oxide of Argendent HN allows for great shade control and the alloy casts. Argelite 65 is ideal for conventional porcelains and is easy to cast, finish and solder. Its micro-rain size provides superior marginal integrity and is one of the strongest and most reliable Palladium Silver alloys on the market today. Contact us if you want to learn more about porcelain fused to metal prosthetics or check whether it’s the right material for your patient.